My friend is a known germaphobic and Asian-food-hater. Ask her to yum cha and she would come along but eat nothing! She wouldn’t even drink the tea. So you can imagine my surprise when she invited me to her family birthday dinner at a Chinese restaurant. What was it about Lau’s Family Kitchen that converted her? Perplexed by this revelation, I was glad to accept her invitation to find out what made this restaurant so different. Arriving early on Friday, we were booked as part of the first sitting (in by 6, out by 8). Whilst I waited for the others I perused the wine list and the menu. When time came finally to order, the waiter pointed at me brusquely, “don’t worry, we make you something, you eat egg?” He took notes as I nodded. The something that they whipped up for me turned out to be alright. 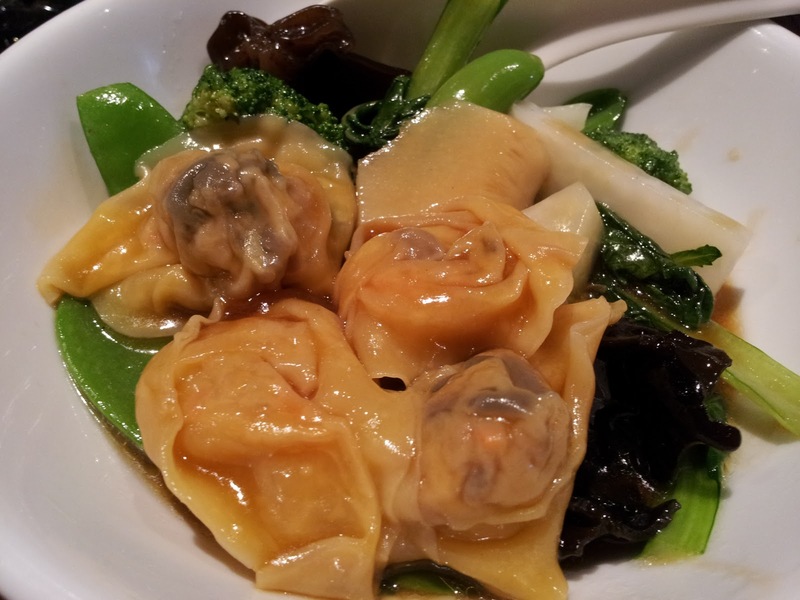 It started with a dish of vegetarian wontons with vegetables. I really liked this dish, mainly because I cannot remember having proper wontons since turning vegetarian as a child. 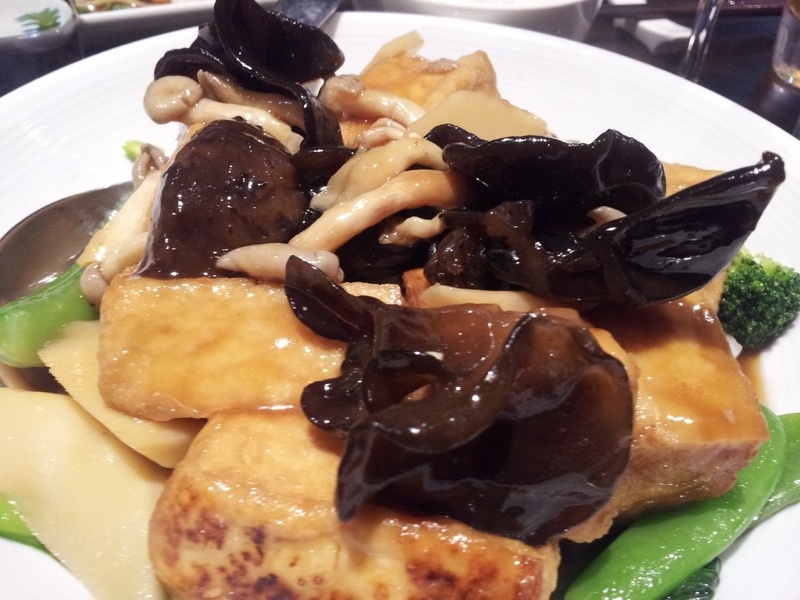 Lau’s were deliciously slippery with wrinkled, soft skins and bits of mushroom and carrot on the inside. 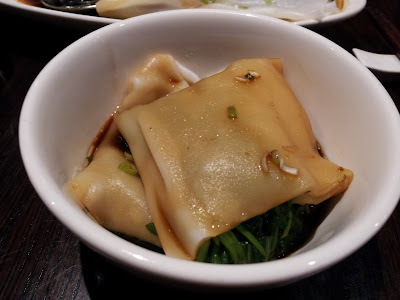 Next up was one of my all time favourite yum cha dishes, filled rice noodles. They had packed them with Chinese spinach. The sauce was not as sweet as the usual, which was a shame. Still, it was very enjoyable. 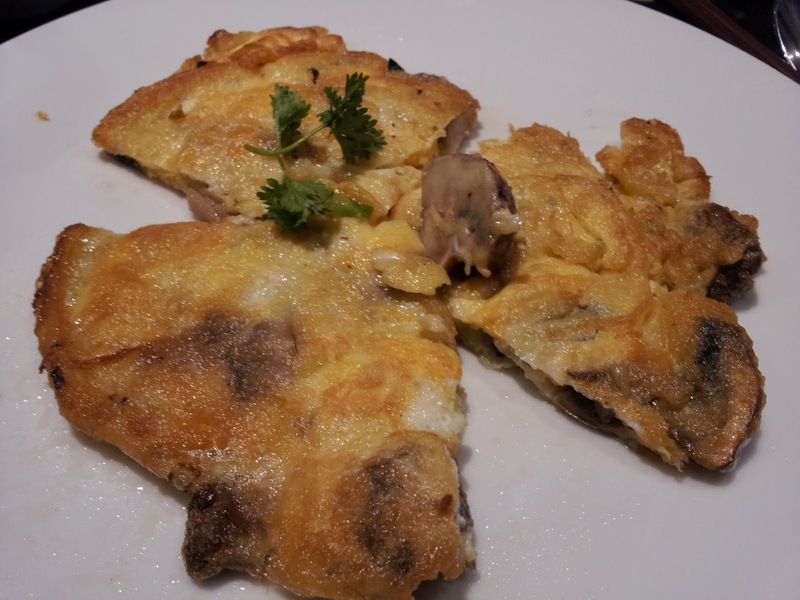 Main was a haphazardly presented mushroom omelette. This seemed to be a token vegetarian dish compared to the others, lacking inspiration and interest. Finally was a bowl of tofu and veggies. The tofu was beautifully silken with softly fried edges. I enjoyed the mushrooms and broccoli in this one. Lau’s Family Kitchen has a decent wine list, and I enjoyed the Shiraz Grenache ordered, something I would not usually have with a Chinese meal. Overall I think there were a few things converting my friend: 1) Lau’s is exceptionally clean 2) overall the food is made and presented with care 3) the service, although sometimes confusing, is extremely accommodating. I never went to the Flower Drum. I never understood how one could justify spending so much on a Chinese meal, and after seeing a recipe for their noodles in the newspaper (looking as beautifully presented as ones I would whip up asap when starving after work), I concluded it just wouldn’t be worth it. Visiting Lau's is a half-way point for me. The more casual version of the once hyped restaurants, I can appreciate that finer Chinese food can be a pleasurable experience.